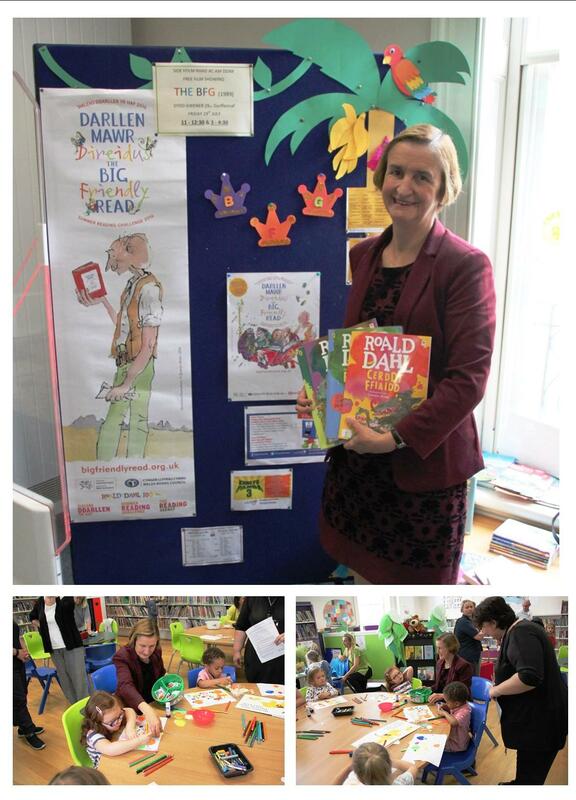 Nia Griffith MP has been in Llanelli library to encourage children to enjoy reading by participating in the Summer Reading Challenge. The programme is aimed at Primary School aged children, with the purpose of getting them to read over the summer holidays,. The six week scheme, run by the charity The Reading Agency with the purpose of encouraging independent reading, is on offer in 98% of public libraries across the UK. Each year the Reading Challenge themes change and, this year, in conjunction with Roald Dahl’s 100 birthday celebrations, his most important themes have been chosen, namely friendship, adventure, mischief, invention, wordplay and champions.